A competitive advantage is an attribute that allows a company to outperform its competitors. Competitive advantages allow a company to achieve superior marginsOperating MarginOperating margin is one of the measurements used to gauge the return on sales generated by operations of a business. Operating margin is equal to operating income divided by revenue. Operating margin is a profitability ratio measuring revenue after covering operating and non-operating expenses compared to its competition and generates valueValue AddedValue Added is the extra value created over and above the original value of something. It can apply to products, services, companies, management, and other areas of business. In other words, value-added is the enhancement made by a company/individual to a product or service before offering it to the end customer. for the company and its shareholders. A competitive advantage must be difficult, if not impossible, to duplicate. If it is easily copied or imitated, it is not considered a competitive advantage. Benefit: A company must be clear what benefit(s) their product or service provides. It must offer real value and generate interest. Target Market: A company must establish who is purchasing from the company and how it can cater to their target market. Competitors: It is important for a company to understand other competitors in the competitive landscape. To construct a competitive advantage, a company must be able to detail the benefit that they provide to their target market in ways that other competitors can not. 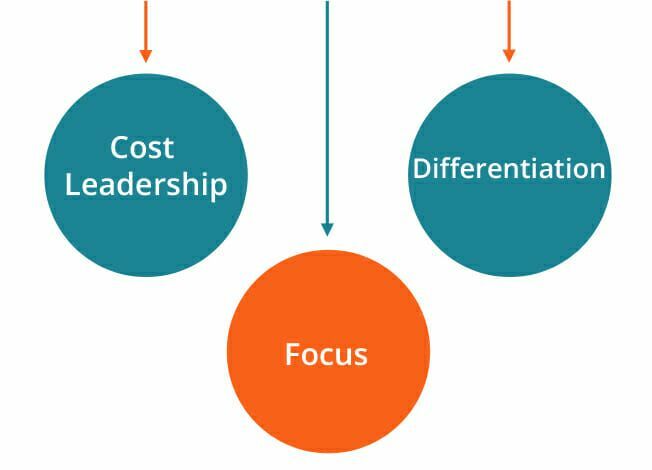 There are three strategies for establishing a competitive advantage: Cost Leadership, Differentiation, and Focus (Cost-focus and Differentiation-focus). 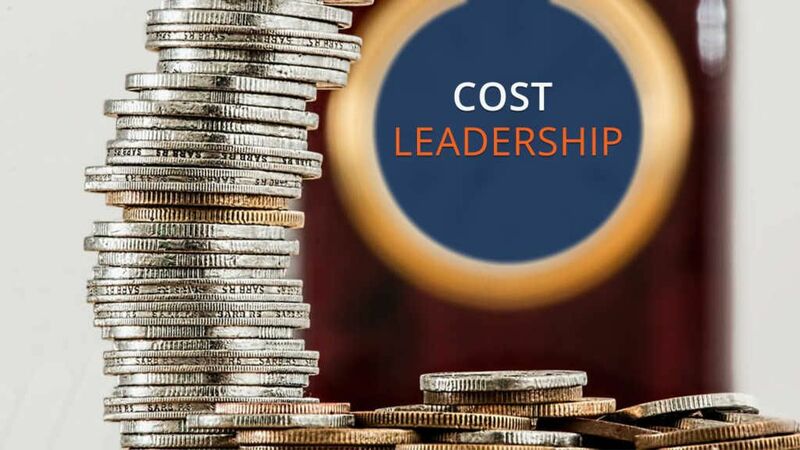 In a cost leadership strategy, the objective is to become the lowest-cost producer. This is achieved through large-scale production where companies can exploit economies of scale. If a company is able to utilize economies of scale and produce products at a cost lower than competitors, the company is then able to establish a selling price that is unable to be replicated by companies. 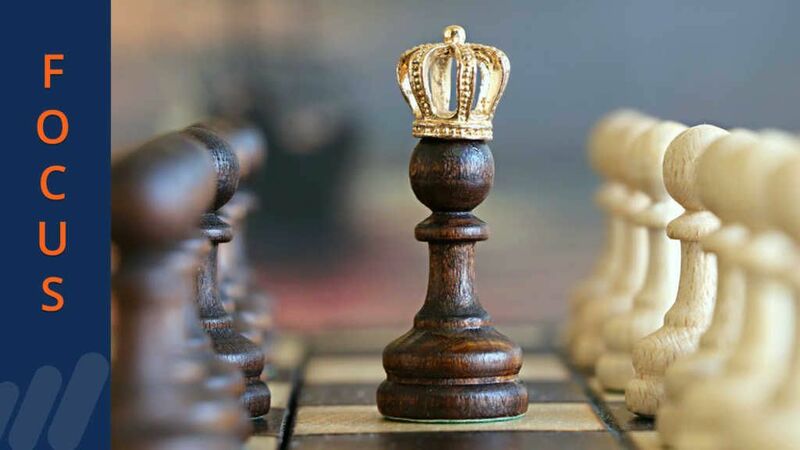 Therefore, a company adopting a cost leadership strategy would be able to reap profits due to its significant cost advantage over its competitors. In a differentiation strategy, a company’s products or services are differentiated from that of its competitors. This can be done by delivering high-quality products or services to customers or innovating products or services. If a company is able to differentiate successfully, the company would be able to set a premium price on its products or services. McDonald’s: McDonald’s main competitive advantage relies on a cost leadership strategy. The company is able to utilize economies of scale and produce products at a low cost and as a result, offer products at a lower selling price than that of its competitors. Louis Vuitton: Louis Vuitton’s advantage relies on both differentiation and a differentiation-focus strategy. The company is able to be a leader in the luxury market and command premium prices through product uniqueness. Walmart: Walmart’s advantage relies on a cost leadership strategy. Walmart is able to offer ‘every day low prices’ through economies of scale. A competitive advantage distinguishes a company from its competitors. It contributes to higher prices, more customers, and brand loyalty. Establishing such an advantage is one of the most important goals of any company. In today’s world, competitive advantage is essential to business success. Without it, companies will find it difficult to survive. Watch this short video to quickly understand the main concepts covered in this guide, including the definition of competitive advantage and how companies create competitive advantage using various business strategies.